Clontarf Castle Hotel offers the perfect blend of old and new, mixing tradition and history with contemporary luxury. Located just 10 minutes from Dublin City Centre and 5 minutes from the coast, this unique 12th century castle is the perfect setting for a luxurious afternoon. Draw up a chair to the magnificent open fire in the stunning setting of the Atrium lobby and feel the warmth of centuries restore your soul as you enjoy your Sparkling Fusion Tea experience. 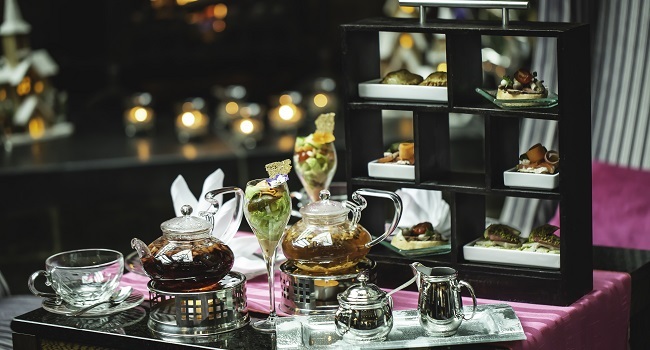 Clontarf Castle has teamed up with TheTaste to feature an exclusive offer with limited availability: experience their Sparkling Afternoon Tea at a special price of only €60 for two people.